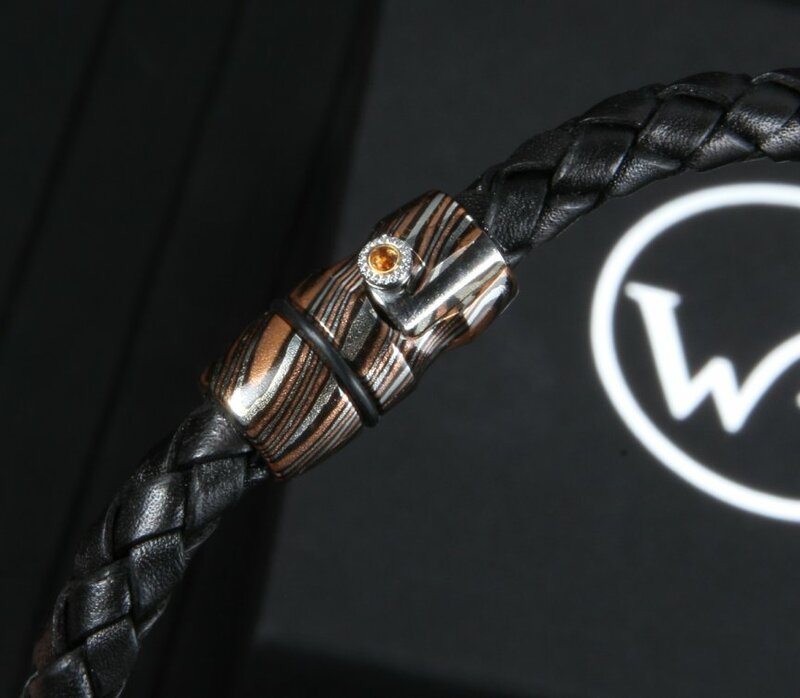 Braided black leather bracelet with bead and bolt-action clasp crafted from hand forged mokume, and stainless fittings inset with a citrine. 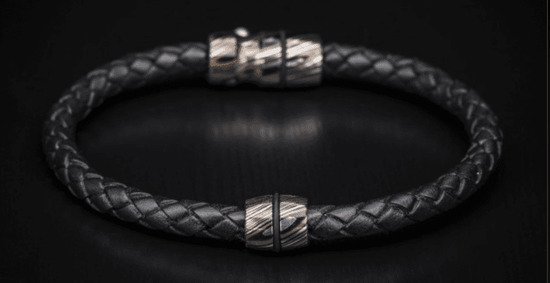 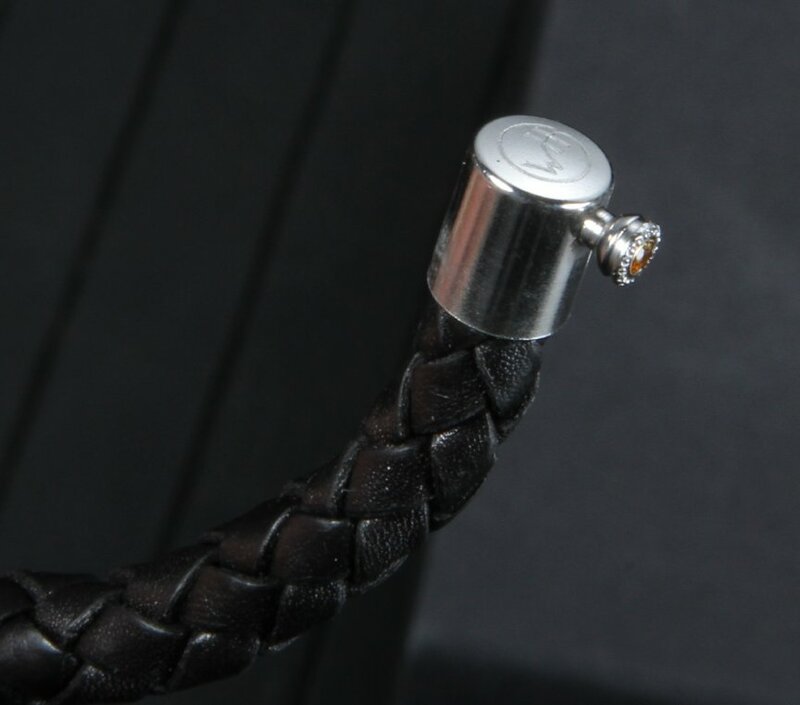 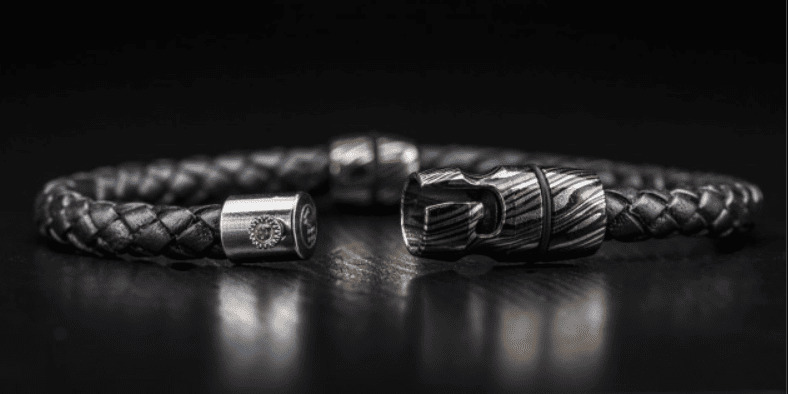 Designed and hand-crafted in the United States, every piece of this collection makes a bold, yet extremely refined statement, and speaks to a strong and masculine personality. 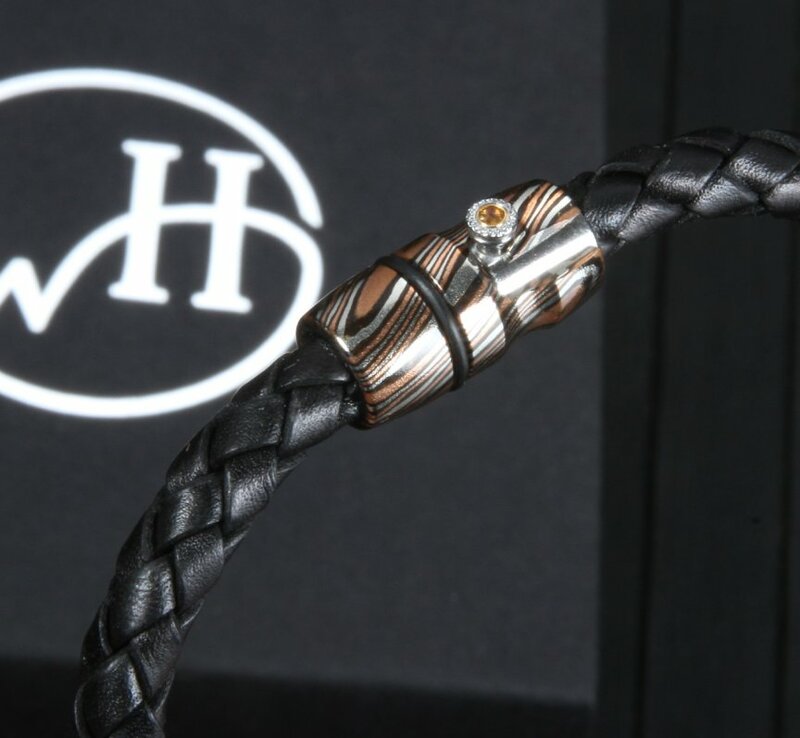 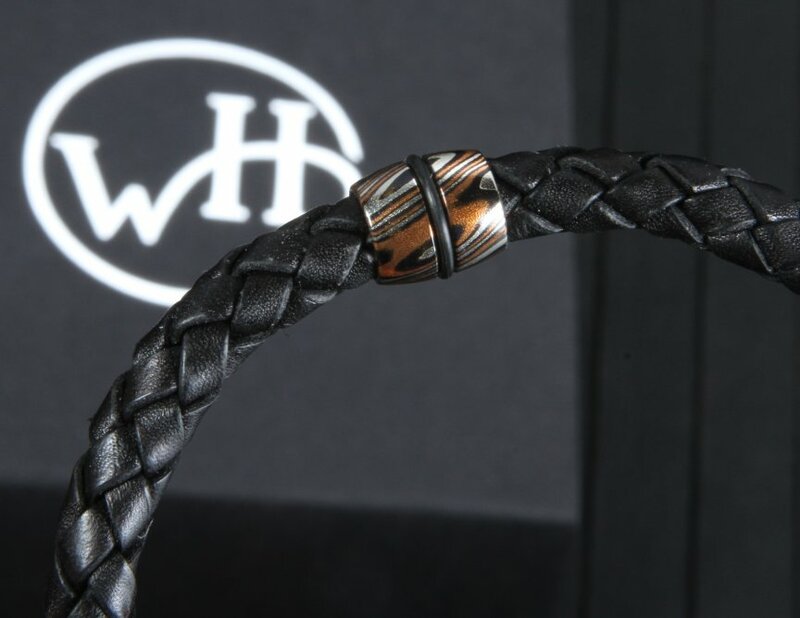 This attractive bracelet comes packaged in a presentation William henry box with a certificate of authenticity.